Come join us at our Volunteer Orientation! 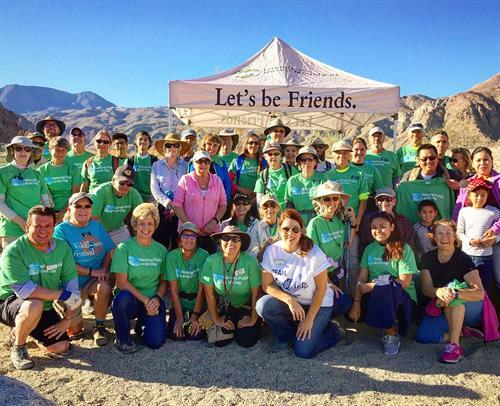 You’ll learn all the ways you can help preserve the natural environment of the National Monument and the Coachella Valley, while having fun with other volunteers and visitors. The orientation covers everything you need to know to become a Scorpion Hunter, Interpretative Hike Leader, Weed Warrior or Trail Steward. Although orientation is not required, it is strongly recommended. We look forward to seeing you. Light refreshments will be served. If you are not a current volunteer, Click here to get started. Call 760-568-9918 for more information.